Having lived in the West end of Peterborough for over 20 years, and not knowing about Harper Park and its significance on an environmental level, was what first grabbed our attention 2 years ago. Needing to learn about this area further, me and my then 11-year-old son Elliott decided to go and explore parts of it on a few walks including a guided one. 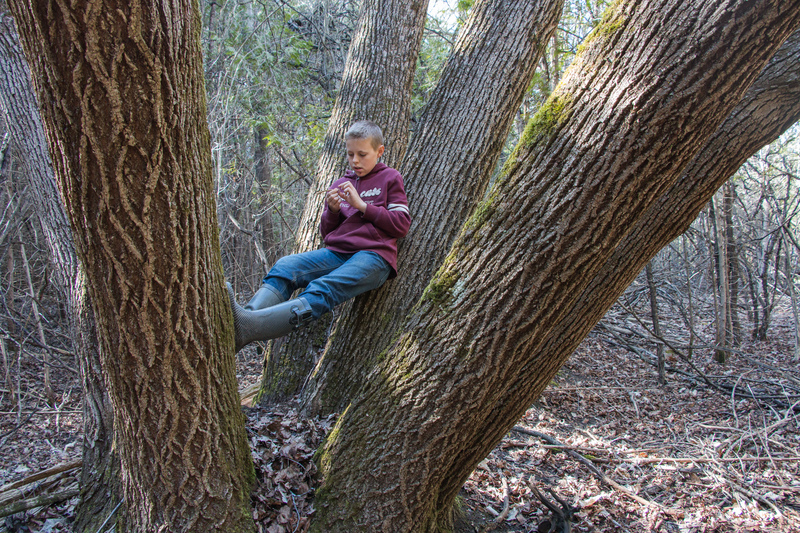 Elliott Storey, the youngest member of the family, reclines in a Harper Park basswood tree. When our friend Kim Zippel explained to us that, even closer to our house, there had been a Harper Creek restoration project on Pinewood Drive, we were even more intrigued. 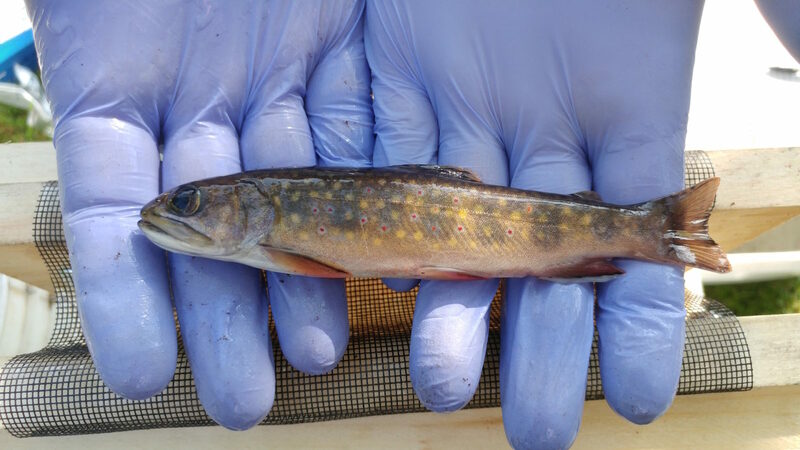 The more we began to learn about the amazing diversity of this wetland, including the Brook Trout, the more we wanted to help preserve it and become stewards of it. At the same time as the news came out in April that the Harper Creek wetland had been designated a Provincially Protected Wetland, we heard about the “Fund a Fish” campaign and thought, what better way to be part of something that could lead to more understanding and knowledge about this incredible Harper Park, right here in our own backyard! So we have decided to name our trout Harper. If someone asked you why your trout is in a particular location in Harper Creek in any given season, you might suggest that it is because there is food, because the temperature is within the range suitable for trout, or that the substrate (texture of the bottom of the creek) is perfect for spawning. Any number of parameters, or combination of factors could explain the presence of your trout in this reach (stretch) of the creek. But what if Harper is just exploring, and enjoys changing home range? Is it possible that Harper is an outgoing, curious, independent little trout who wants to be out of ‘reach’ of his/her birthplace (natal site) in the creek. Or, Harper could be a little slow to launch, and prefer the familiarity of the bottom of a pool near the hatching site (site fidelity). According to current research by the team of Philip M. Harrison et al. (2104), unique personality traits did play a role on how wild burbot (Lota lota) moved through their habitat over a two year period. This is an important finding for fish conservation initiatives and improves our understanding of the ability of fish to surmount challenges, primarily human impacts, to their habitat. While the Harper Creek study may not be able to focus on aspects of brook trout personality, it will determine how far the trout are travelling, when movement occurs, and what barriers are surpassed if individuals travel within the multiple branches of the stream, a stream that will experience a tremendous amount of disruption from urban development as this study proceeds.